Use the Cyclone Tube to attach 2-liter bottles together, and give it a big swirl. Watch a vortex form and spin in the top bottle. 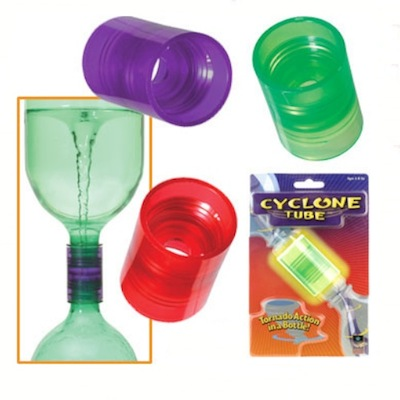 Cyclone tube is 2 inches and comes in assorted colors. Each individually packaged, with instructions.